Financial considerations should not be an obstacle in obtaining what you desire. Our goal is to make our procedures affordable for any budget. It is for this reason that we make things affordable, by offering a combination of expertise, experience and advanced technology at a price everyone can afford. Our competitive pricing ensures that you are receiving the most affordable care without compromising the quality of your results. During your Blue Illusion Beauty consultation, Dr. Ritvik Mehta will present the surgical and non-surgical treatments that can help achieve the look you desire. Before your consultation is complete, you will receive a quote for the cost of the treatment option you choose. While cash payments are always welcomed, we accept Visa, Mastercard, American Express, and Discover. We do require a deposit to hold your surgical appointment and full payment is due 10 days before your procedure. Please know that you can discuss any payment concerns with us openly. We work with Brilliant Distinctions rewards program. 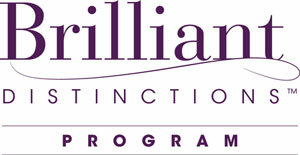 Brilliant Distinctions is an exclusive rewards program that helps you save on select Allergan products and services. It’s easy. For your purchase from a participating provider. We have a number of participating Allergan products to earn on, if your provider determines they are right for you. By redeeming your points for instant savings off your next purchase. With easy-to-use Brilliant Distinctions Program. For more information watch the BD tour.